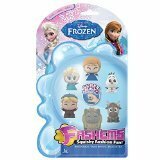 The cold won't bother your little girl when she wears these cute and stylish winter boots featuring her favorite heroines from Disney's Frozen! This officially licensed Disney footwear is perfect for fans of Frozen! 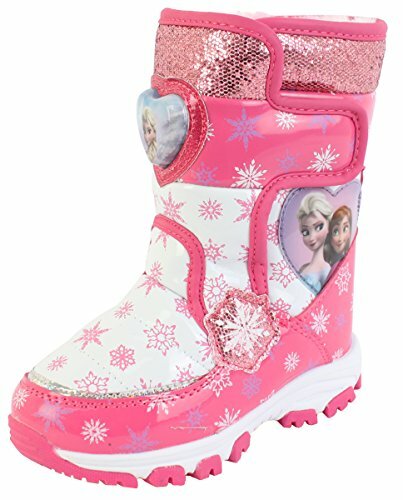 The pink boots have lots of details that any fan of Anna and Elsa will love. 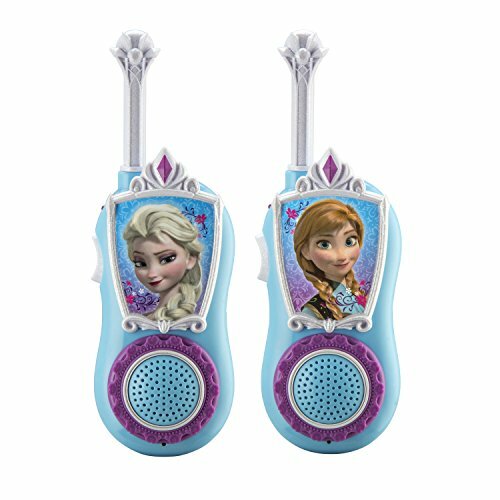 A heart-shaped image of the royal Arendelle sisters is on the side of each boot. The tops are embellished with a pretty pink metallic-look fabric. The rest of the boots are covered in a snowflake pattern on alternating pink and white backgrounds. The light-up detail is fun and an added safety feature.